Restore the purity of your body's cells and tissues with a gentle whole-body cleanse. Rensa teams a gentle cleansing blend with natural digestive enzymes to eliminate toxins and supports healthy digestion for whole-body vitality..
Purifies and protects: Chemicals and contaminants can cause damaging effects to your body's systems. By cleansing at a cellular level, Rensa effectively flushes harmful toxins from the body restoring its natural purity. Delivers body balance: With daily use, this whole-body cleanse improves digestion and regularity, and balances the body's systems, providing a sense of well-being for a new level of overall wellness and persisting purity. 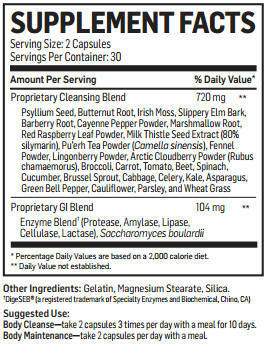 Enzyme Blend - A variety of enzymes aid in breaking down difficult-to-digest food. Saccharomyces Boulardii - This probiotic yeast benefits the gastrointestinal tract by promoting healthy bowel movements and inhibiting bacterial growth. Psyllium Husk - Aids regularity and heightens intakes of dietary fiber to improve digestion. Vegetable Juice Blend - Aids the detoxification process of the liver. Marshmallow Root - Naturally cleanses the kidney and supports a healthy urinary tract. Restore the purity of your body’s cells and tissues with a gentle whole-body cleanse. Rensa helps the body reach optimal performance by supporting toxin elimination from the body’s cells, tissues, and organs, and supporting healthy digestion. Combining a gentle cleansing blend with natural digestive enzymes, Rensa sets the stage for an array of health benefits and whole-body vitality. Cleanses and Protects from Toxins - Toxins in our modern world can put a strenuous burden on our bodies. Powerful ingredients in Rensa such as psyllium husk, cayenne pepper, and marshmallow root help eliminate toxins, and protect against a wide range of harmful contaminants. Supports Proper Digestion - Our unique enzyme digestive blend can aid in helping the body properly digest food. This ensures more nutrients will be assimilated, allowing your body to achieve optimal performance. Improves Weight Loss - As the body begins to eliminate toxins, it also begins to shed the unwanted fat cells that have been storing these toxins. 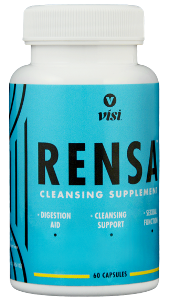 Supports Overall Health - Cleansing with Rensa can support virtually every major organ and body system for enhanced overall wellness. Protease - Protease is a digestive enzyme that helps breakdown proteins into amino acids. Amalyse - Amalyse is a digestive enzyme that helps breakdown carbohydrates into sugars for energy. Lipase - Lipase is a digestive enzyme that helps breakdown fat for energy. Cellulase - Cellulase is a digestive enzyme that helps breakdown cellulose, a dietary fiber from fruits and vegetables. Lactase - Lactase is a digestive enzyme that helps breakdown lactose, a complex sugar molecule found in dairy products. Saccharomyces boulardii - This unique probiotic yeast provides numerous benefits in the gastrointestinal tract, including the slowing of occasional diarrhea, fighting Candida and other problematic microbials, and promoting healthy bowel movements. Saccharomyces boulardii has been shown to inhibit bacterial overgrowth. Psyllium Husk - Psyllium husk is a soluble dietary fiber and is known to support digestion and aid in regularity. Higher intakes of dietary fiber play a powerful role in digestive health, and are linked to lower instances of cardiovascular disease and lower body weights. Cayenne Pepper - The natural properties of cayenne pepper improve the smooth flow of blood throughout your body. Capsaicin, a key component of all peppers, naturally helps to keep your blood platelets from sticking together, and is also being investigated for treating circulatory problems. Vegetable Juice Blend - (Broccoli, Carrot, Tomato, Beet, Spinach, Cucumber, Brussel Sprouts, Cabbage, Celery, Kale, Asparagus, Green Bell Pepper, Cauliflower, Parsley and Wheat Grass). This impressive combination of vegetables delivers a wide-ranging spectrum of vital nutrients, including trace minerals, vitamins, enzymes, amino acids, and antioxidants. Cruciferous vegetables (broccoli, cauliflower, brussels spouts, and cabbage) have also been shown to help aid the detoxification processes of the liver. Marshmallow Root - Naturally cleanses the kidney, and supports a healthy digestive system and urinary tract. A. Rensa is a daily defense in a toxic world. By cleansing chemicals and contaminants at a cellular level, Rensa balances the body’s systems for a new level of overall wellness. With daily use, this whole-body cleanse improves digestion and regularity so you can live life pure. Q. What is the recommended time to take Rensa? A. Vísi recommends two different regimens depending on the desired results: For a whole-body cleanse: take two capsules three times per day with a meal over ten days. For body maintenance: take two capsules per day with a meal. Q. What are the benefits of a whole-body cleanse? A. Our modern world is a toxic one which overloads our bodies with harmful chemicals and contaminants every single day. A whole-body cleanse will help eliminate the problems of toxin overload by eliminating these chemicals and contaminants from the body’s cells, tissues, and organs. By cleansing your system of these overloaded toxins, Rensa contributes to a wide array of health benefits. Q. What are the benefits of body maintenance? A. Body maintenance continually cleanses the body from harmful contaminants to maintain nutrient absorption to aid proper digestion on a daily basis. 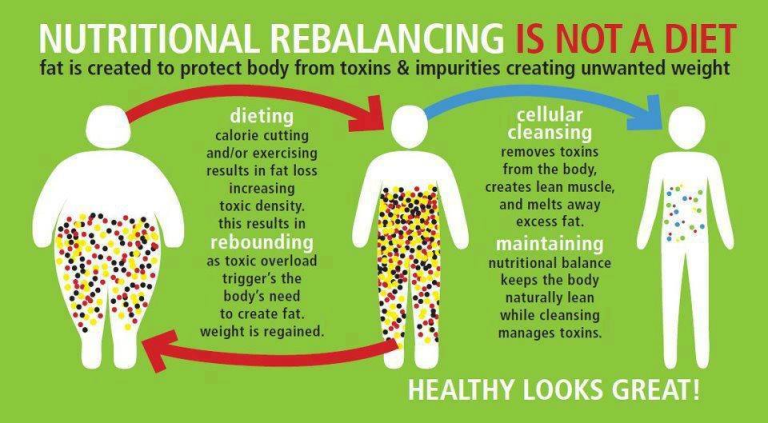 The body maintenance regimen should be followed after completing a whole-body cleanse for ongoing, optimal results. Q. What are the benefits of Rensa? A. Powerful ingredients in Rensa such as psyllium husk, cayenne pepper, and marshmallow root help eliminate toxins and protect against a wide range of harmful contaminants. Our unique enzyme digestive blend ensures more nutrients will be assimilated, allowing your body to achieve optimal performance. Rensa also combines 28 herbs, fruits, and vegetable extracts to support your natural cleansing process. As the body begins to be cleansed and eliminate toxins, it also begins to shed the unwanted fat cells that have been storing these toxins. Cleansing with Rensa can support virtually every major organ and body system for enhanced overall wellness. Q. What enzymes are in Rensa? A. Rensa features DigeSEB® Enzyme blend. This unique digestive enzyme blend combines protease, amylase, lipase, cellulase, and lactase, which help you break down proteins, fats, carbohydrates, and dairy products, helping to decrease gas and bloating. Q. At what age can someone start using Rensa? A. Rensa is formulated for adult (18+) use. Q. Can pregnant or nursing mothers take Rensa? A. Although the ingredients in Rensa are considered safe, it is always best to consult your physician if you are pregnant or nursing. Q. Why am I experiencing gas, bloating, and diarrhea while on Rensa? A. Gas, bloating and diarrhea can happen when taking Rensa. Your body is detoxing, so you may experience some gastrointestinal discomfort. If gastrointestinal discomfort persists, discontinue use. Q. Why has my skin experienced changes while on Rensa? A. Because your skin is the largest organ in your body, cleansing may cause changes as toxins are being eliminated through the skin. This is temporary. After cleansing, you will notice healthier and more youthful skin. Q. What are Rensa’s capsules made of? A. Rensa uses gelatin capsules.